Episode 208! 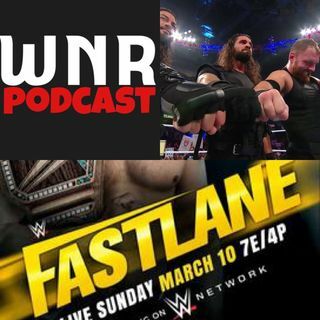 It's the last stop before WrestleMania nad we are in the FastLane! The Shield would team one final time in the main event but who would make it to Mania? Kofi's dream had been crushed by Mr Mcmahon but he had a plan for the New Day. Becky Lynch injuiries and all looked to book her place in the main event by beating Charlotte! Get all the WNr reaction plus looking at WWE's pland for WrestleMania and beyond! Plus lot's more! Enjoy! !